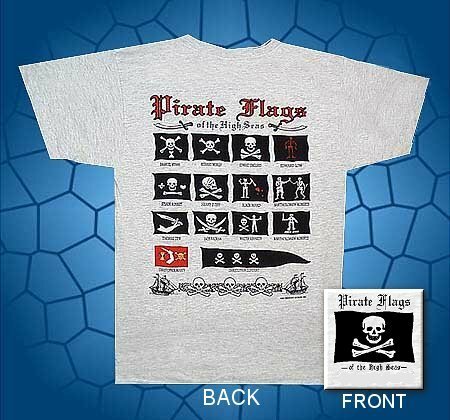 small Skull n' Crossbones Pirate Flag lurking on the front left chest. Sail away with one today! Copyright 2002 Graphic Attack, Inc.